As you travel to the westernmost edge of the 250-acre master-planned community, Rancho Tesoro, a small, elevated and secluded enclave by the name of Westerly reveals itself. 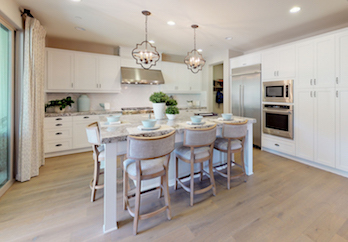 Westerly features 71 single-family residences by California West offering the beautiful Spanish Ranch, Santa Barbara, and Monterey architectural styles. The homes offer approximately 2,800 to 3,520 sq. ft. of living space as well as up to 5 bedrooms, 4.5 baths, and 2-car garages, meaning there is always room for you and your family to breathe. Naturally placed at the foot of the surrounding hillsides, Westerly immediately connects you to the natural landscape. Homeowners not only have access to Rancho Tesoro’s new parks with open lawn areas, barbecues, and gathering spaces, but also the recreational facility called The Cabana, featuring a swimming pool, grassy lawns, a tot lot, and a barbecue pavilion for gatherings with family and friends. Rancho Tesoro is conveniently located near Discovery Lake, San Elijo Hills, California State University at San Marcos, and State Route 78. The master-planned community is also within the area's highly acclaimed San Marcos Unified School District. Discovery Elementary School offers specialized programs, an outstanding curriculum, and leadership opportunities; San Marcos Middle School is undergoing a $24M renovation to further enhance its high-quality learning environment; and Mission Hills High School has specialized facilities for the sciences and arts, along with comprehensive sports and activities. 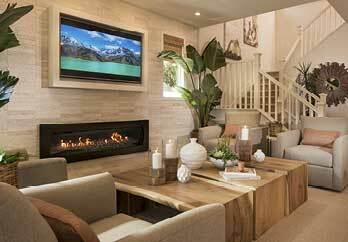 Welcome to Westerly at Rancho Tesoro by California West – Life Made New. WESTERLY IS NOW SOLD OUT.